Sitting here away from the outside world, i wish to be better or never found. Running away from people, hiding my face. Protecting my heart, trying to avoid a wound. Keeping my head high, guarding my rights. Chasing my dreams, sometimes letting them burn. Still full of flaws, and Looking for peace, with sealed lips waiting for my turn. Having no desire of fame, no hunger for wealth. knowing nothing will last. Neither a dollar, nor pound. 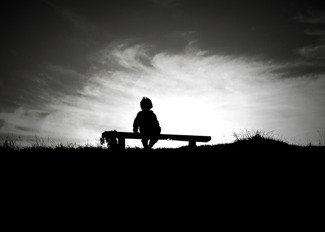 Sitting here away from the outside world, i just wish to be better or never found. Absorbing info and entertainingly written. Keep up the excellent stuff! NextImportance of Hijab and Status of women in Islam and other religions.